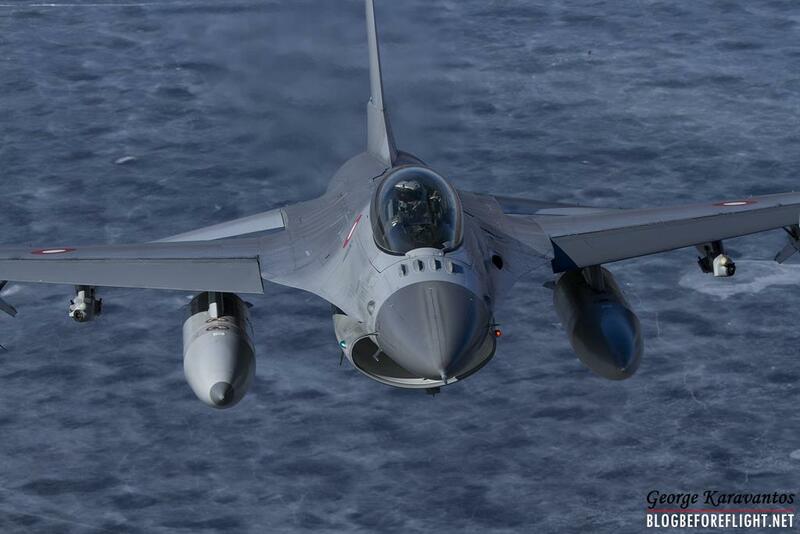 The Danish Air Force is currently patrolling the Baltic skies under the NATO Air Policing mission. 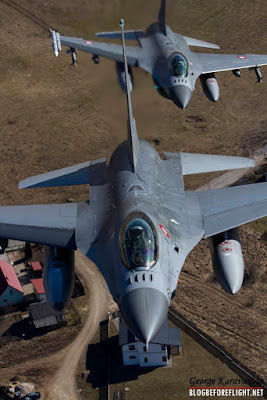 A few meters from Danish F-16 fighters over the Baltics. 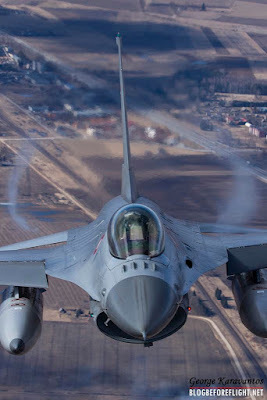 On January 5, a detachment of the Danish Air Force landed with four F-16 Fighting Falcons at Siauliai Air Base, Lithuania, to carry out the next 4-month rotation of the NATO Air Policing mission in the Baltic States. The Danish detachment relieved the airmen belonging to the U.S. Air Force's 493rd Expeditionary Strike Fighter Squadron. 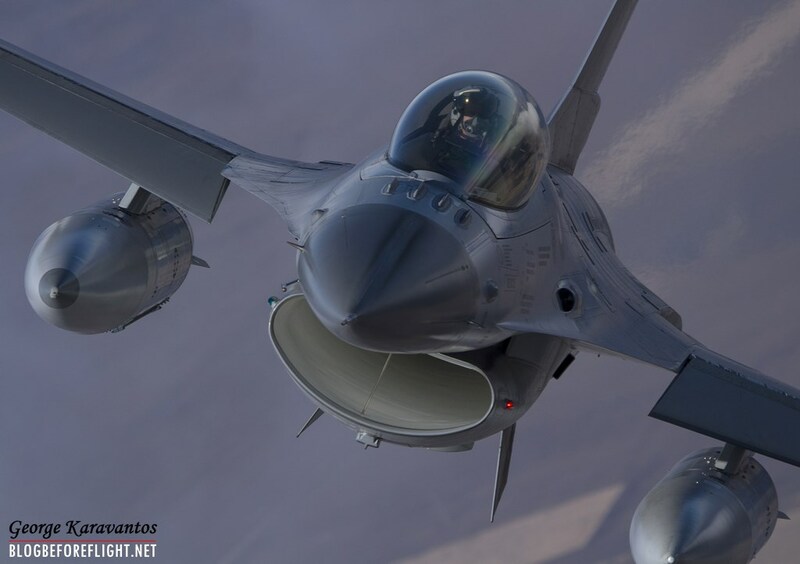 Seven F-15C Eagles from RAF Lakenheth conducted the same mission in the previous 4 months during which they made 30 scrambles. 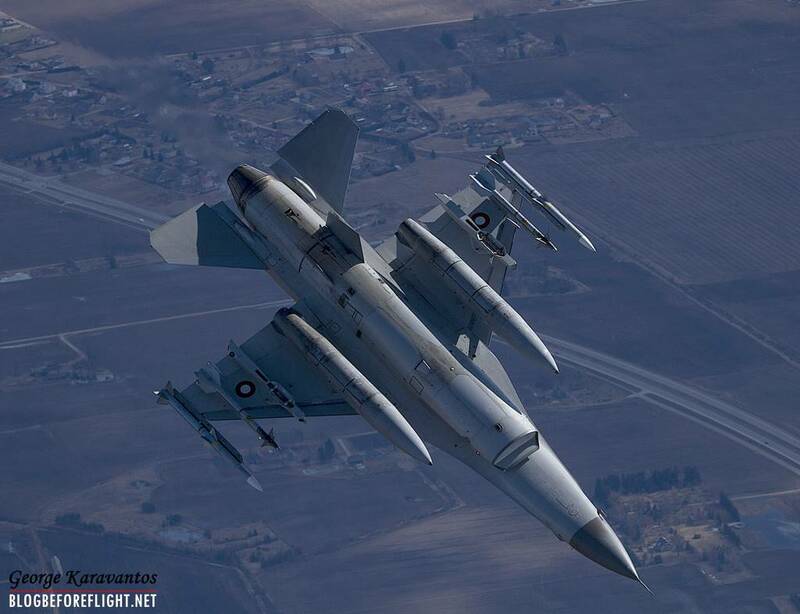 The Danish rotation is composed of personnel and equipment from the Fighter Wing Skrydstrup. 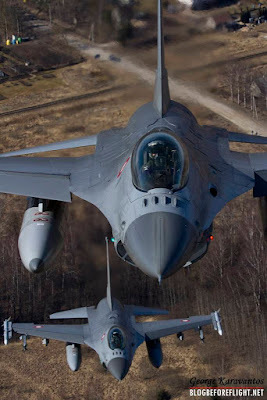 It is the sixth time that Denmark is manning the mission, the previous rotations were deployed in 2004, 2009, 2011, 2013 at Siauliai, and in 2014 at Amari Air Base, Estonia. 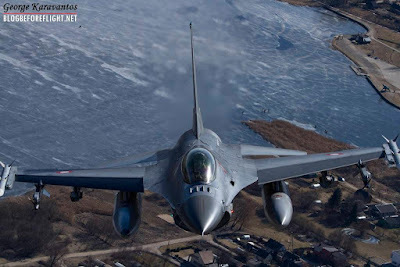 The Danish aircraft conducted their first interception at the end of January when a NATO radar picked up a suspected air track. 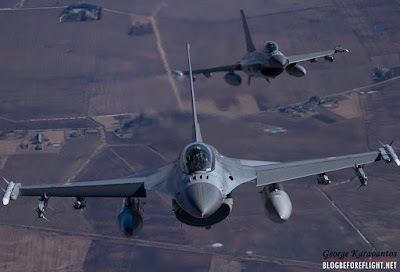 It had not contacted civil air traffic control authorities and was not included in any flight plans. 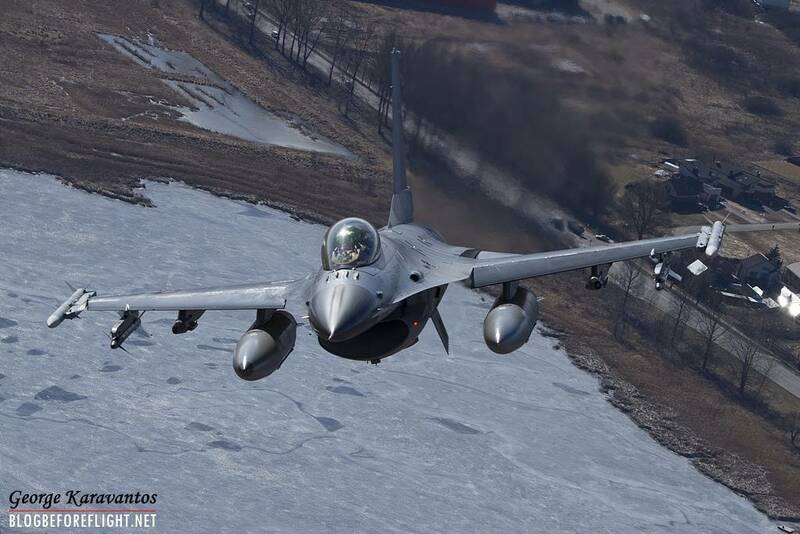 The track had moved from Russia to the international waters near NATO airspace. Consequently, two Danish QRA F-16s were instructed to fly into the area to identify the track; it was a Russian fighter jet. 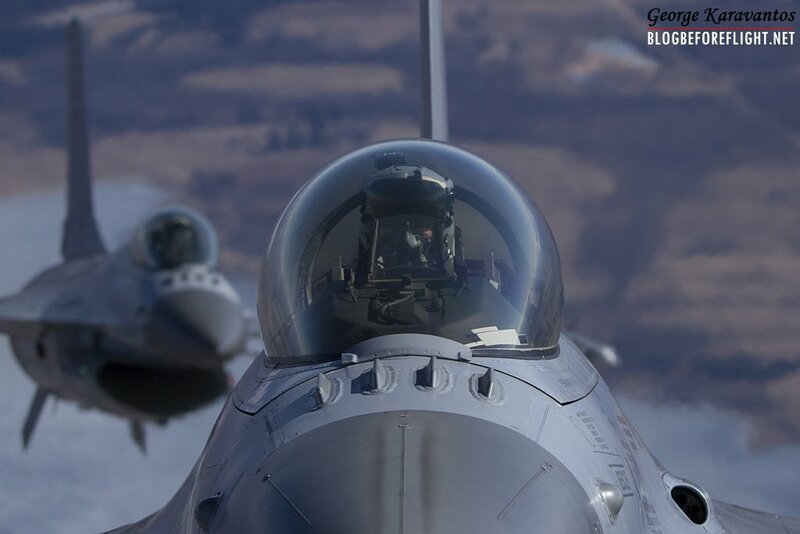 The two Falcons escorted the "Renegade" out of NATO airspace. 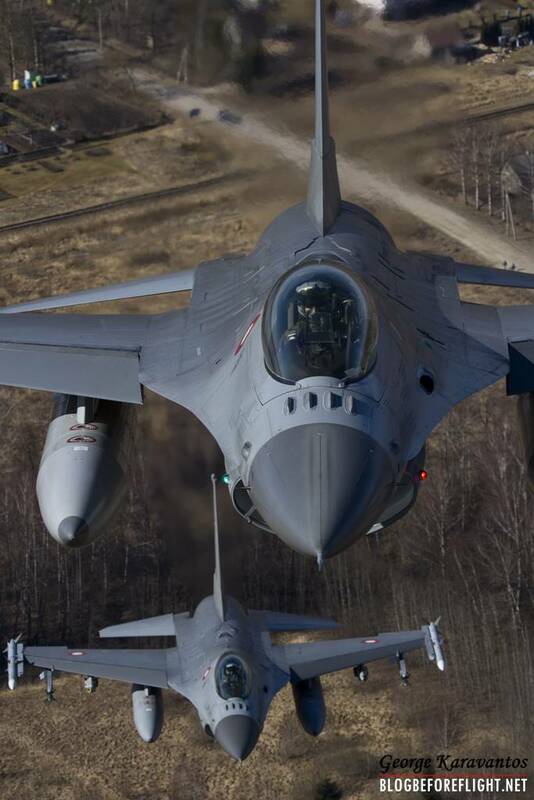 This type of missions are usual in the Baltics, during recent years Russia has increased its activities along the borders of the Baltic States. 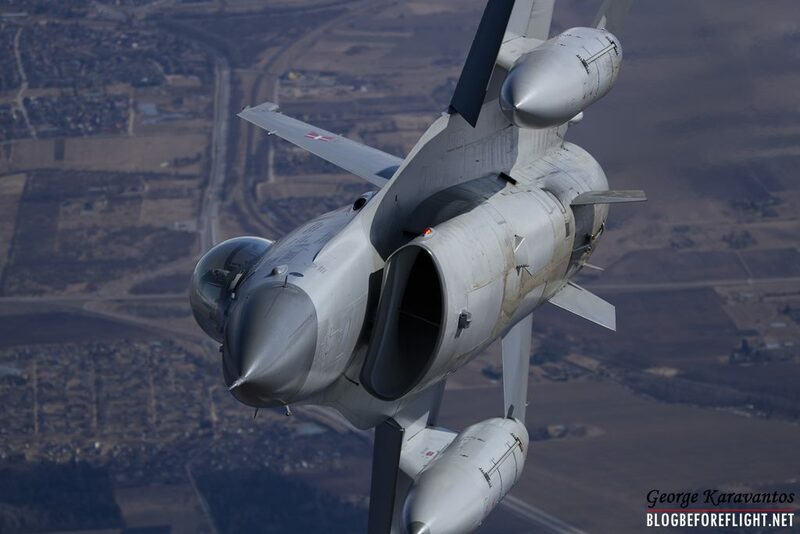 According to figures provided by the Lithuanian Defense Ministry, NATO jets intercepted around 130 Russian aircraft flying over the Baltic Sea last year. The alliance's aircraft were scrambled about 110 times in 2016, down from some 160 times in 2015 and 140 times in 2014. The NATO BAP mission offers pilots to operate in a challenging environment: they have the opportunity to perform many more real QRA missions than at home and the reaction times must be very fast considering the small size of the Baltic countries. 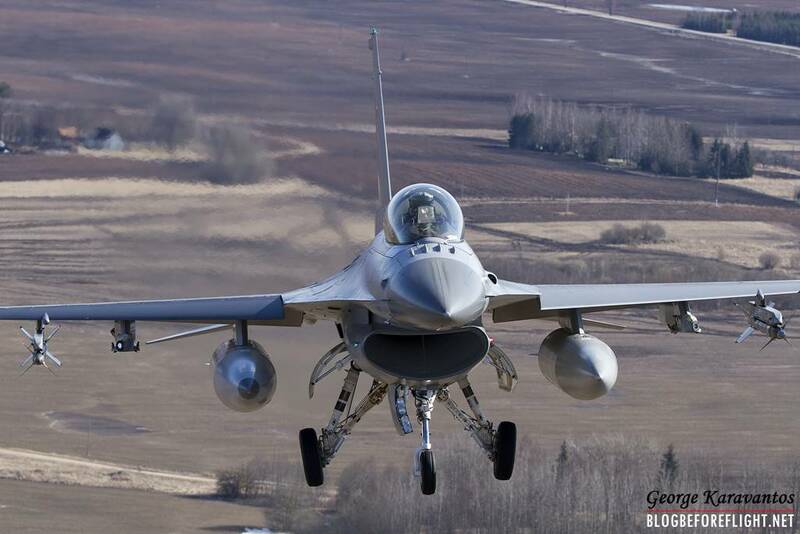 When the alarm is given, they have to run into hangars, wearing the special high-altitude flight suits placed on the boarding ladder, climb into the cockpit and takeoff. The pilots receive details about the threat only during the flight to save time. The aircraft involved in the air policing mission does not only monitoring border violations, but provide assistance to any aircraft that might find itself in trouble in the Baltic airspace. Sometimes the civilian aircraft forget to communicate with air control authorities. Although this is not a risk for the country, such aircraft must be identified. During the past few days we had the opportunity to take part in an air-to-air footage organized by the Danish Air Force diring a standard training mission. We boarded a Lithuanian C-27 that played the role of the bandit for the occasion. 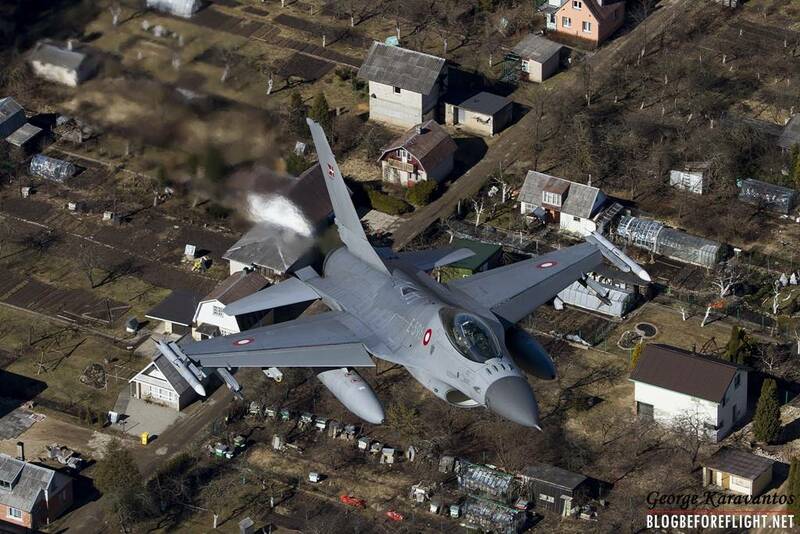 Two DAF F-16s targeted us a few hundred meters above the groud. 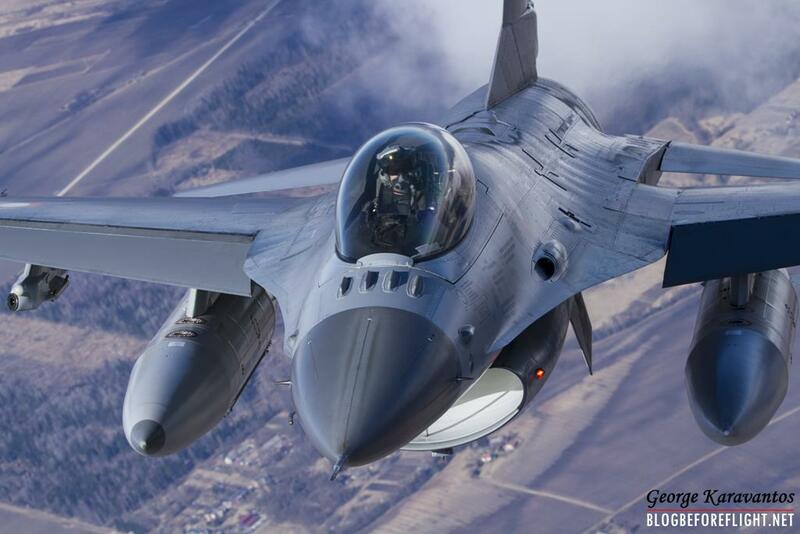 They approached our plane flying at a close range to allow us to take memorable shots from the rear cargo ramp. Thank you Guys! 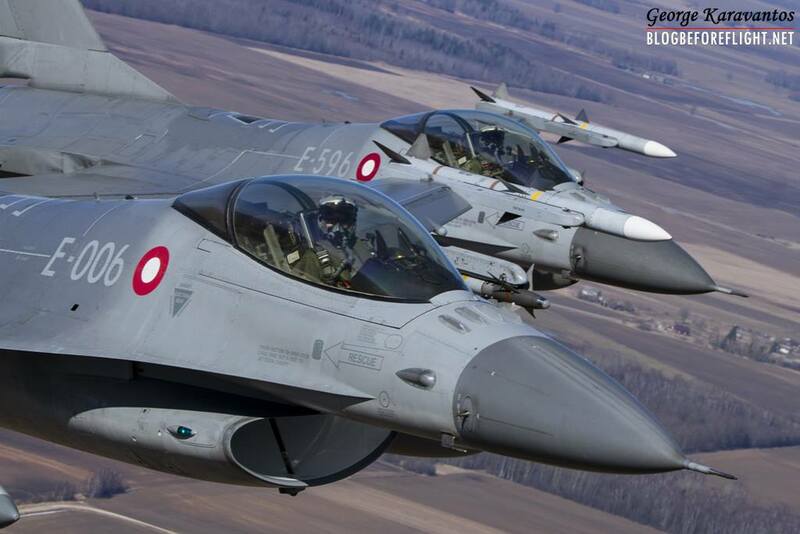 The Danish contingent is supported in the defense of the Baltics by the Italian Air Force. Italy has sent four Eurofighter jets to Amari AB, Estonia, to carry out the same mission during the same period. The Italian Typhoons have performed nine interceptions from the beginning of January to the end of March. NATO Air Policing mission in the Baltic States has already been conducted by Belgian, Danish, Czech, UK, Spanish, U.S., Polish, Norwegian, Dutch, Portuguese, French, Romanian, Turkish, German and Portugal air contingents. 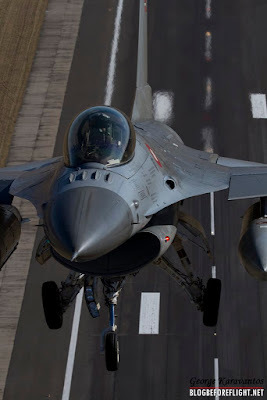 The air assets deployed on the mission maintain a permanent readiness posture to scramble at short notice and take deterrent of other actions against the trespassers. 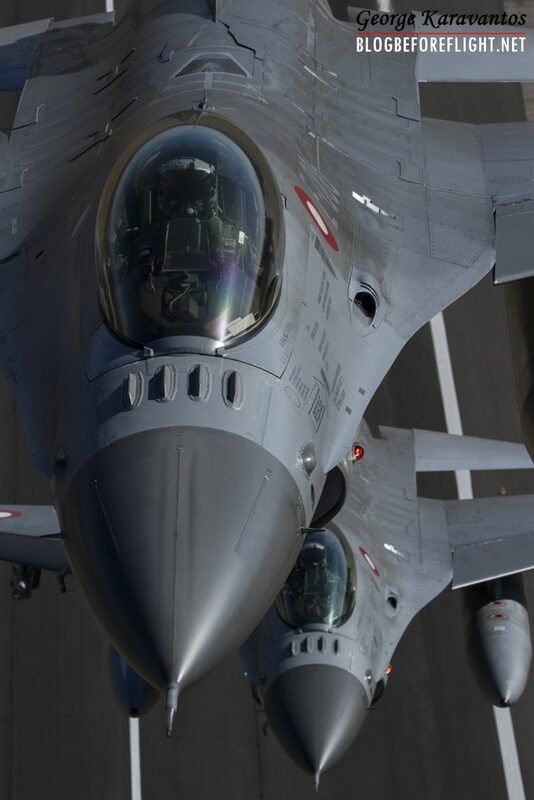 The BAP is a great example of cooperation between NATO member countries, you can find more about air policing missions here.